UPND deputy secretary general for politics Patrick Mucheleka says nothing will stop the motion of impeachment from being tabled in Parliament. 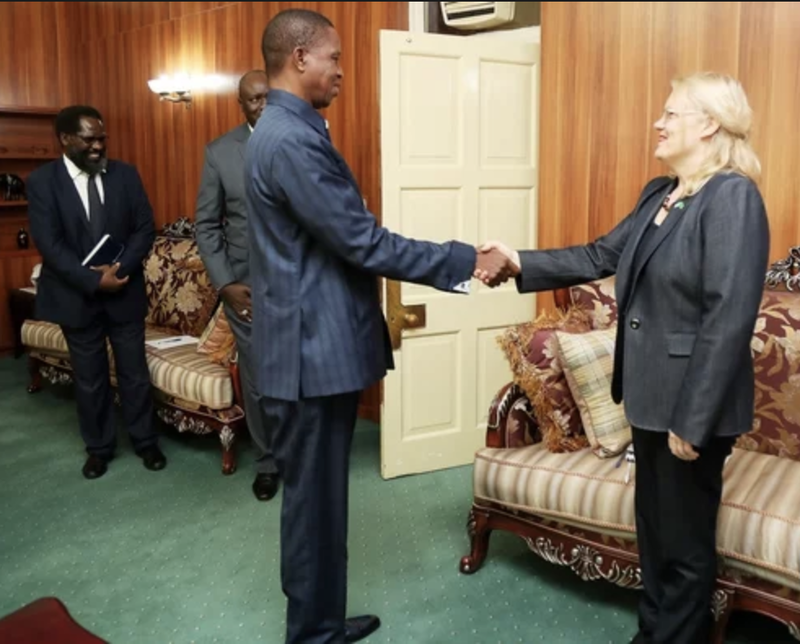 Mucheleka has called on UN resident coordinator Janet Rogan to extend the same gesture she is giving to the PF in holding frequent meetings with them to his party the UPND as well. In the same interview Mr Mucheleka was asked as to what motivated the opposition party to put in a motion of impeachment while calling for dialogue with the ruling party, the former Lubansenshi lawmaker said the move was aimed at bringing President Lungu to order for abrogating the constitution. “Mr Lungu has a tendency of breaking the law and that is why we want to bring him to order…no one is above the law. Among the many grounds, we have moved that motion because Mr Lungu abrogated the constitution. The constitution is very clear that when a presidential petition is filed, a sitting President should step aside but that never happened,” he said.